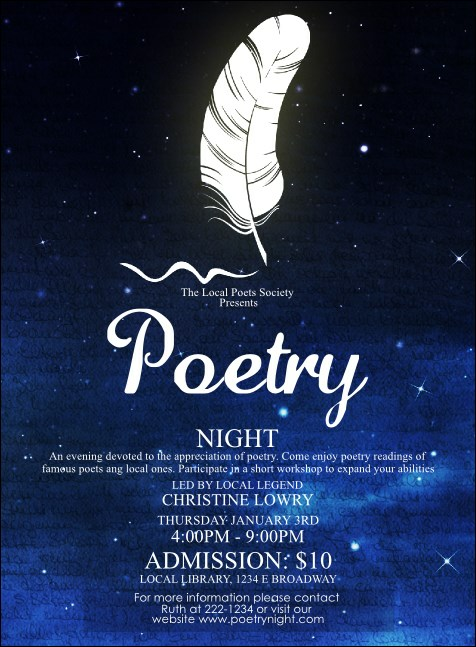 Invite scholars and bookworms to a night of great stories and imagery with the Poetry Quill Invitation. This elegant design features a white writing quill over a deep cobalt night sky crowded with stars. Coordinate your materials with matching tickets, flyers, and posters in an Event Kit. RSVP to epic tales with the right invitation from TicketPrinting.com.